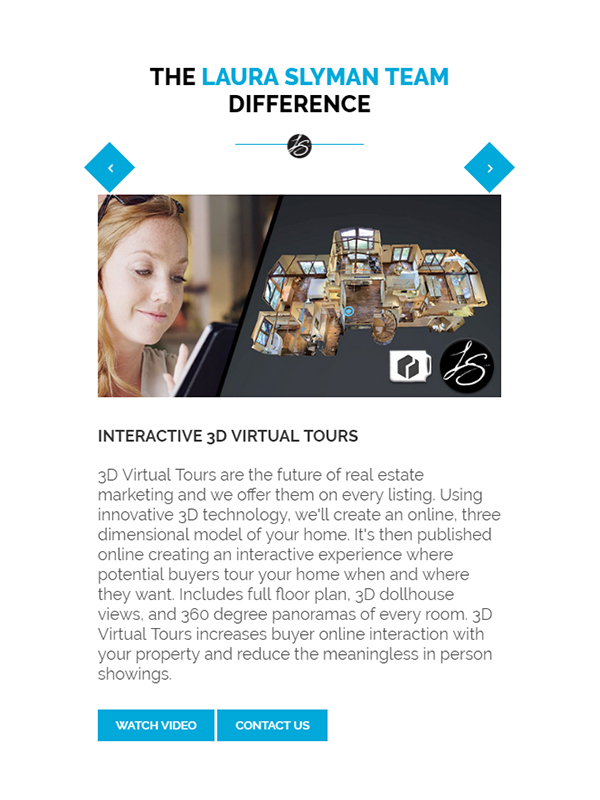 Real estate websites seem to all have the same content. 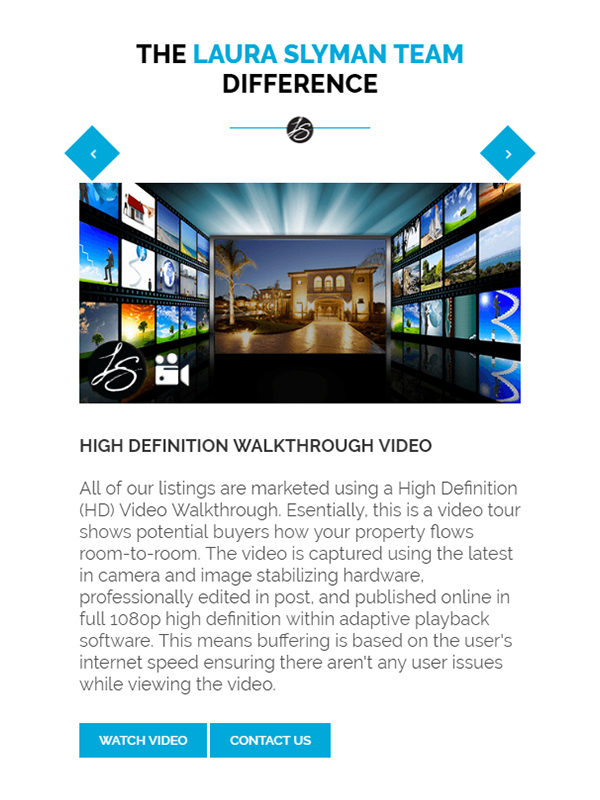 The content relies entirely on syndicating listings from the MLS. 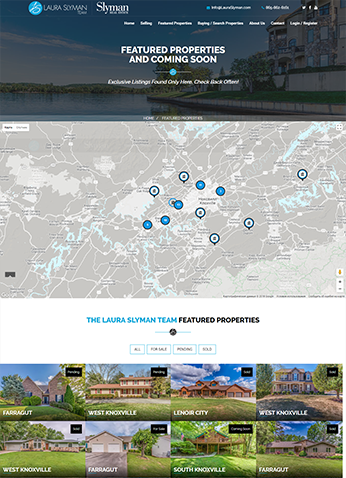 We wanted to do something disruptively different and started by developing a proprietary content management system that created websites for each property the Laura Slyman Team listed. We think you'll agree, this isn't an ordinary real estate website. No templates or themes used here. Designed and developed from the ground up using the latest in HTML, CSS, and JS coding standards. Content used was designed, edited, and published in our media studio. Most internet browsing is done now on mobile devices. The website is foundationally built to remain consistent no matter the device on which it's being viewed. 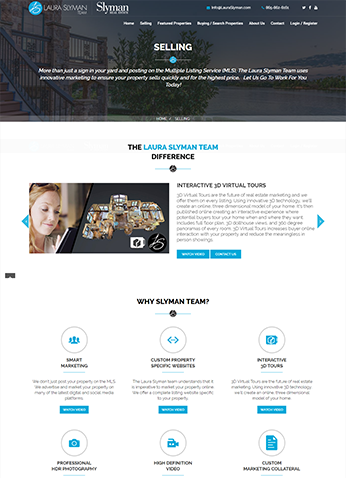 We manage all content updates on Laura Slyman Team's behalf. To make it easy on ourselves, we built a sophisticated content management system that makes updates sitewide quick and easy. 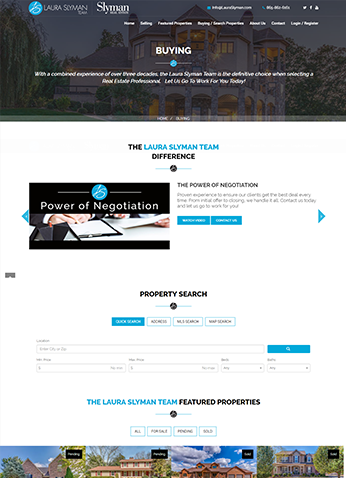 We set out to develop a site that would tangibly make the case as to why the Laura Slyman Team would be the best choice for real estate services. 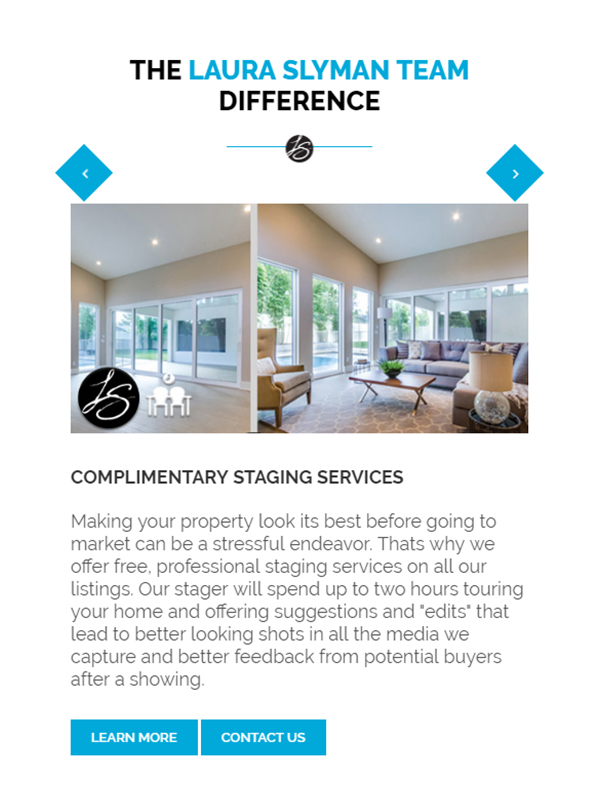 In our research we found that most REALTORS© do not effectively communicate their value proposition and leave potential customers without true insight as to the vast differences in services from on REALTOR© to another. 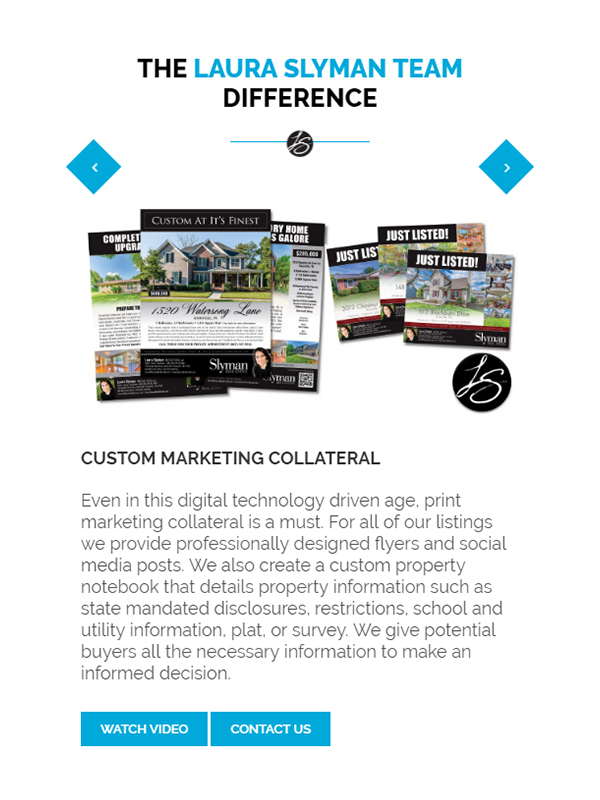 It wasn't good enough to simply write copy to convey the Laura Slyman Team's competitive advantages and value offer, we wanted to create an experience. 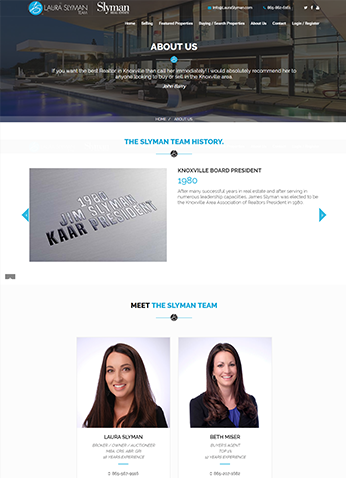 We architected and implemented adaptive media streaming and embedded 6 videos that explain the Laura Slyman Team difference. The completed site streams these videos perfectly, regardless of the device they're being viewed on or the user's internet download speed. 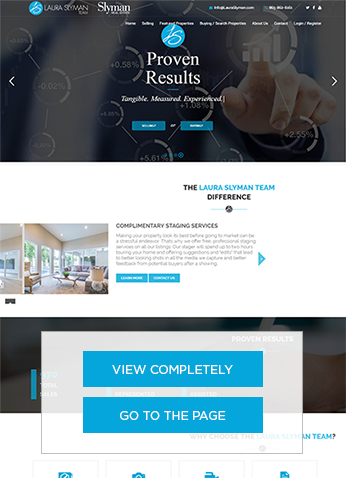 Our goal was an online experience that would allow visitors to tour the Luara Slyman Team's real estate listings using custom media that showcases properties online like never before. 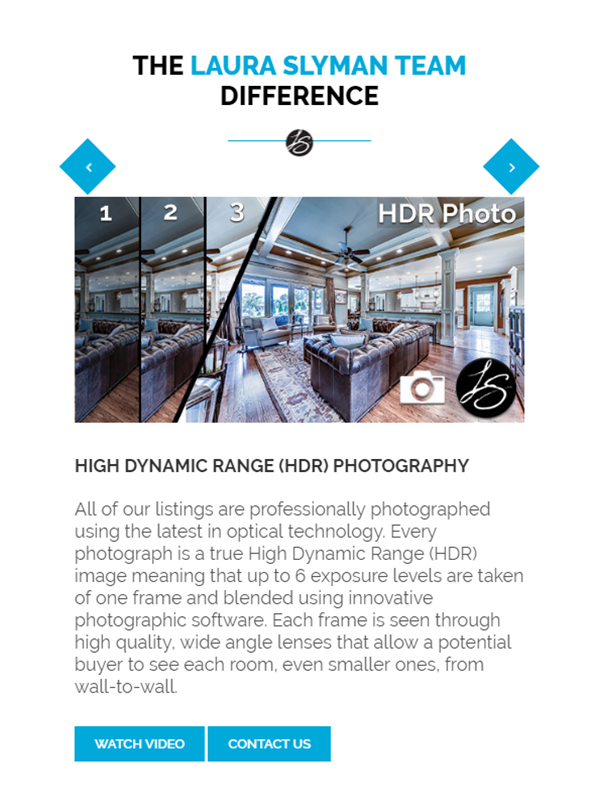 To accomplish this we had to develop frameworks that could display high resolution images, high definition video, and 3D virtual tours quickly on desktop computers and mobile devices. Also, the experience had to be the same whether the user accessed the site via a broadband internet connection or a slower cellular connection. Fast page load times were imperative. Our solution was to implement adaptive media buffering and cloud front image sourcing that allows for on-the-fly manipulation regardless of download speed. The site's foundation was developed on a complex content management system making updates fast and simple sitewide. All the media on the website was shot, edited, and published in our media studio. The final product is a captivating online experience. 52.2% of all website traffic is on a mobile device. 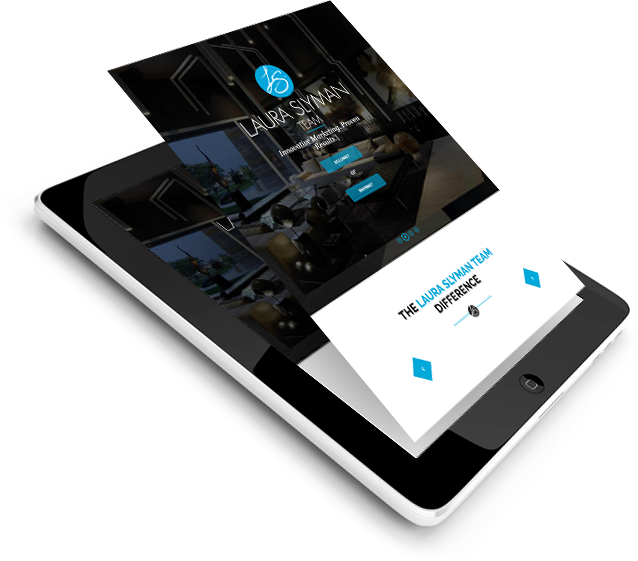 The top priority for us was to ensure we developed a fully responsive site. The experience must be consistent regardless of screen size. User internet speeds and bandwidth vary, but we wanted a media centric website. We implemented adaptive buffering and cloud front image sourcing to maintain quick load times regardless of download speed. Laura Slyman Team's real estate listings constantly need to have statuses updated and properties added or removed. Quick and simple site updates were critical. We developed a content management system allowing required changes to be deployed quickly. One of our core beliefs is that you can have the finest architected site on the planet, but if users hate navigating it, we've failed. If a user goes from viewing the site on a desktop to a mobile device, the experience must remain the same. All content is adaptive to screen size and the quality (good or bad) of the user's internet connection. The experience and functionality remain consistent. Sophisticated tracking pixels serves Laura Slyman Team content to leads accross different digital platforms automatically. For example, when a user visits the website, Laura Slyman Team content will now appear in their social newsfeeds. 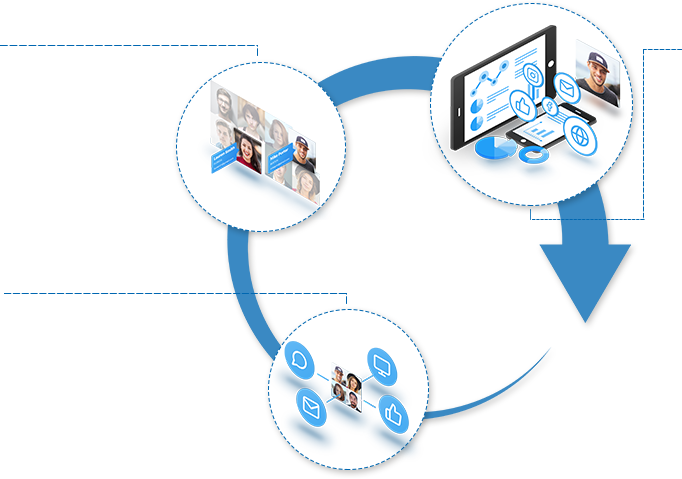 The website automatically works to discover a visitors identity, places them into a sales funnel, and records lead information into our CRM on-the-fly. Automation nurtures them through the steps of Laura Slyman Team's sales cycle. 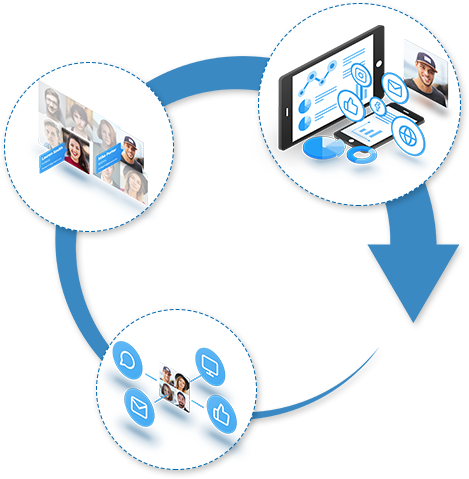 Our marketing automation software optimizes lead conversions and produces a bevy of analytics. This data is used to maximize marketing ROI, tweak strategy, and increase revenue growth over time.